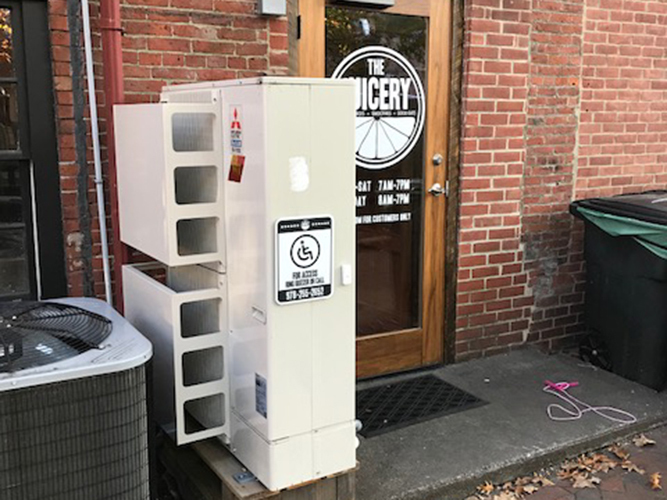 Problem: Newly renovated retail fit-up had an antiquated furnace with no air conditioning. Solution: P-Series Hyper-Heat condenser and ductless indoor units provide heating and cooling year-round. 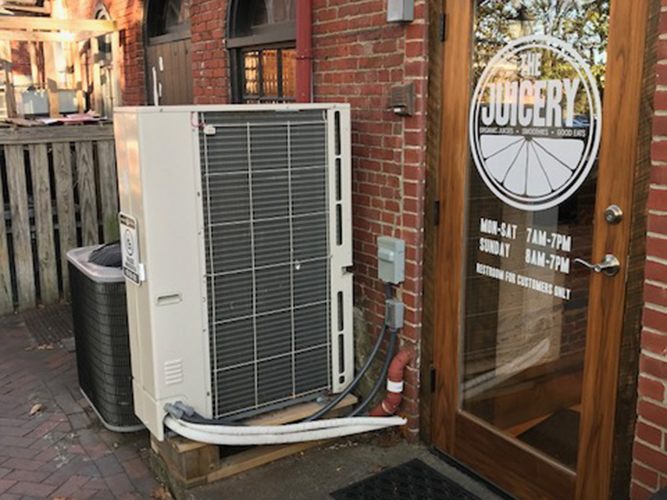 When the Juicery contacted us to assist with heating & cooling at their new location in Newburyport, MA, it quickly became clear that a ductless solution would work perfectly. 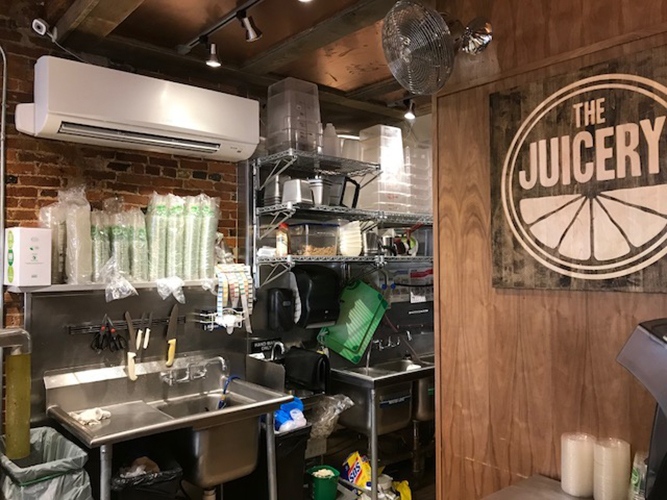 Due to their large amount of coolers/refrigeration rejecting heat, a panini press, and some very active staff members, the other Juicery locations are often in need of cooling, even during winter months. For this reason, we selected a commercial P-Series Mitsubishi Electric setup that can heat or cool, no matter how warm or cold the exterior environment becomes. Paired with an MHK1 wall-mounted control, this solution has been nothing but a success since their grand opening!